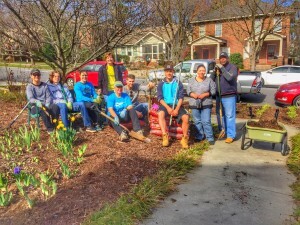 We are very fortunate to partner with Hands On Charlotte and are grateful to their volunteers who came to the house to do some spring cleaning. Our yard looks amazing. 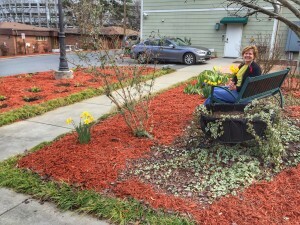 Thank you for giving of your time to keep our grounds looking beautiful. It is so nice to see the flowers coming up! We hope you come back again soon.